Salt Lake City was the end gathering destination for the Saints escaping persecutions primarily from the east. 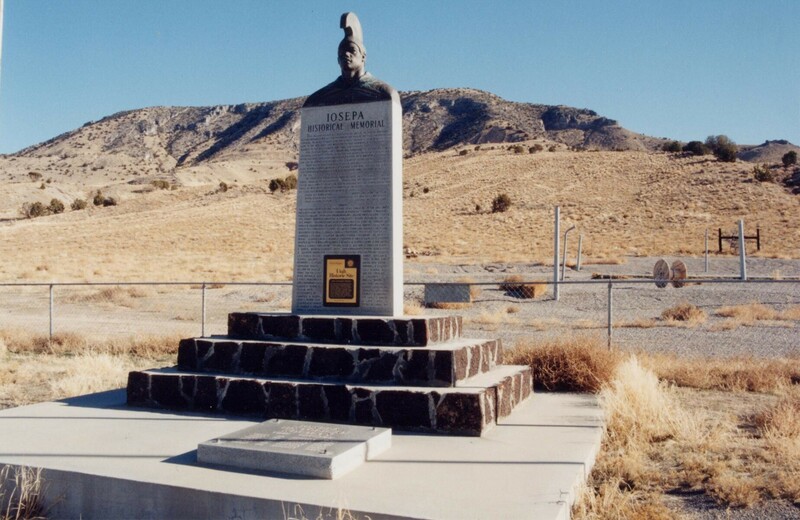 Iosepa, Utah was also a gathering place, but for what group of Saints? These plates were seven inches wide by eight inches in length, and were of the thickness of plates of tin; and when piled one above the other, they were altogether about four inches thick; and they were put together on the back by three silver rings, so that they would open like a book. The two stones set in a bow of silver were about two inches in diameter, perfectly round, and about five-eighths of an inch thick at the centre; but not so thick at the edges where they came into the bow. They were joined by a round bar of silver, about three-eighths of an inch in diameter, and about four inches long, which, with the two stones, would make eight inches. The stones were white, like polished marble, with a few gray streaks. I never dared to look into them by placing them in the hat, because Moses said that "no man could see God and live," and we could see anything we wished by looking into them; and I could not keep the desire to see God out of my mind. And beside, we had a command to let no man look into them, except by the command of God, lest he should "look aught and perish." These plates were usually kept in a cherry box made for that purpose, in the possession of Joseph and myself. The plates were kept from the sight of the world, and no one, save Oliver Cowdery, myself, Joseph Smith, Jr., and David Whitmer, ever saw them. Before the Lord showed the plates to me, Joseph wished me to see them. But I refused, unless the Lord should do it. “Mormonism--II," Tiffany's Monthly 5 (August 1859): 163-70.